The ultra-wide 49-inch screen with its innovative 32:9 aspect ratio means you always get to see game scenes in their entirety, exactly as their developers intended. And the 1800R curved panel immerses you in gameplay and delivers cinematic viewing for movies and video content. The CHG90 QLED Gaming Monitor features support for High Dynamic Range (HDR), so dark areas are darker and bright areas are brighter. See mind-blowing detail and contrast as bright blue skies share the screen with deep shadows and silhouettes. The CHG90 supports AMD’s new Radeon FreeSync™ 2 technology, which gives gamers a smooth HDR gaming experience with twice the perceivable brightness and color of that offered by the sRGB spectrum. The CHG90 features an eye-saver mode which cuts down blue light emissions to a substantial extent. So, play on with reduced eyestrain and greater visual comfort. 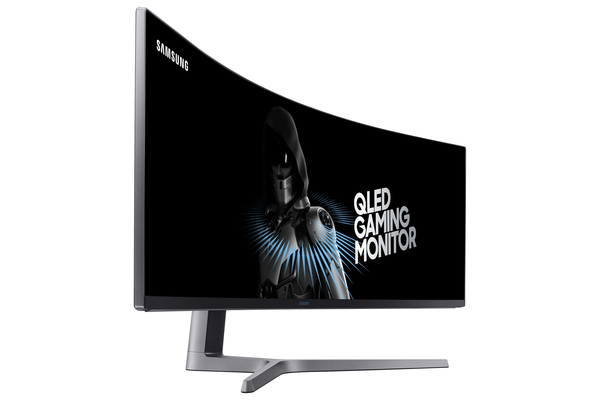 Developed in concert with the Samsung Galaxy Team, the semi-final winners of the LOL World Championship 2016, the CHG90’s factory-calibrated game display modes instantly optimize black gamma levels, contrast ratios, sharpness and color value settings for any game genre, be it FPS, RTS, RPG, or AOS. View key game settings at a glance and adjust them on the fly to your preference using shortcut keys. Equivalent to two 16:9 monitors side by side, the 32:9 super ultra-wide screen provides the ultimate in multitasking flexibility. Forget about multi-monitor set-ups — with no bezels impeding your view and a single power cable for minimal clutter, you can multitask in truly seamless style. 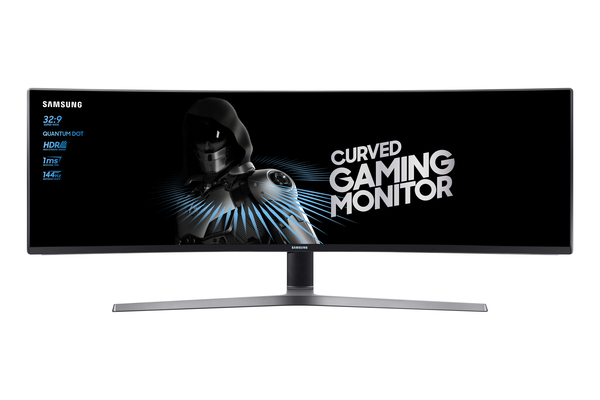 The CHG90’s audio-aligned Arena Lighting, located at the back of the monitor, adds to the thrill of gaming, getting brighter as the game’s sound grows louder, elevating moments of high intensity.